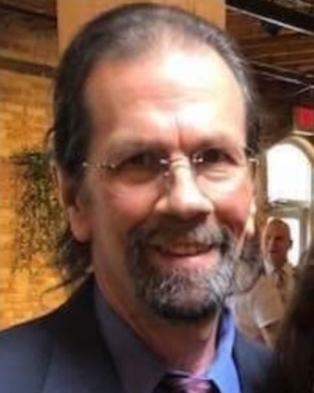 Patrick K. Herron, 65, of St. Clair Shores, passed away December 18, 2018. Patrick was born August 28, 1953 in Mt. Clemens, the son of the late Betty and Ken Herron. He graduated from Mt. Clemens High School in 1971. Patrick was married to Patricia Forhan on September 14, 1984 in Mt Clemens. He was retired from Chrysler where he worked for over thirty years as a die maker. Patrick served his country in the United States Army from 1972 to 1975. Patrick is survived by his loving wife Patricia Herron; children, Sean (Ashley) Herron and Melanie (Alex) Wylomanski; five grandchildren, Karah Wylomanski, Gabrielle Wylomanski, Quinn Wylomanski, Adaline Wylomanski and Helena Wylomanski; brothers and sisters, Peggy (Mike) Catalanotti, Shannon Herron, Michael (Lynn) Herron, Maureen (Mark) Stephenson and many nieces and nephews. He was preceded in death by his parents Betty and Ken Herron.